It was founded in 1759 by the Russian monk Paisio Velitchkofsky. The katholikon (main temple) was bouilt in 1903. It is dedicated to the Prophet Elijah, Saint Alexandra and the Apostle Andrew. There are also three chapels in the skete, Saint Metropahnes and the Saints Theopatores the Saint Nicholas and the Annunciation. The skete is also home the miraculous icon of the the Weaping Mother of God (Dakrirooussa) and the Lactating Mother of God (Galaktotrofoussa) as well as invaluable objects of worship. The skete also has quite a rich library.Some other treasures of the Skite are a holy-bread box, crosses, e.t.c. 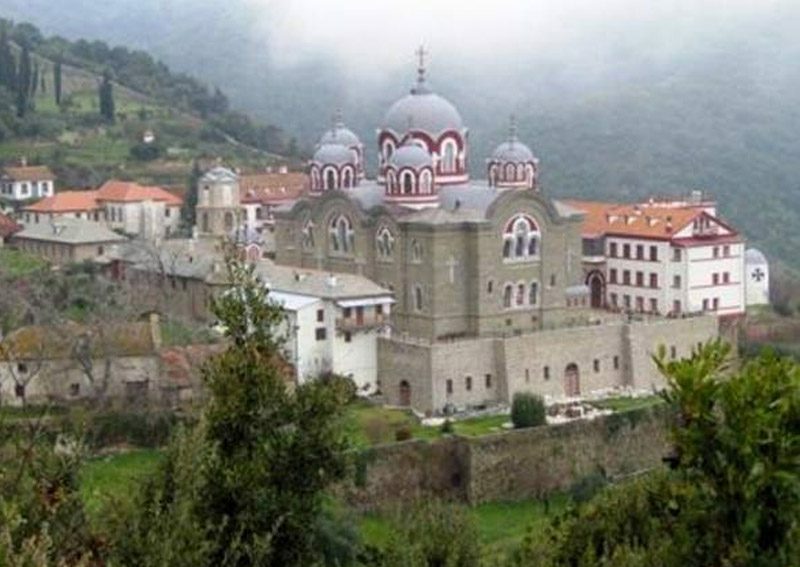 It belongs to Pantokratoros monastery is inhabited by 12 Greek monks and is ceonobitic.